Volatile oil prices and the depletion of traditional hydrocarbon energy sources have made an already competitive industry even more complex. At the same time energy suppliers provide essential public services, and political pressures add another layer of complexity, as governments and regulators seek energy security and demand both price stability and cleaner energy supplies. In a market that is fast-changing and under pressure from a variety of different directions, you need a firm that is immersed in energy markets and is innovative and agile in driving and achieving your business goals. Dentons gives you that support, with enormous experience across the energy sector and around the world. This includes providing strategic assistance to clients encompassing the entire energy value chain from oil majors, independents, transportation companies, power generators and utilities, financial institutions and large customers. Dentons lawyers work for more than 40 governments on energy-market reform and major project procurement, which adds a depth of perspective rare amongst law firms. Use Dentons and work with lawyers who understand the energy industry—who see the opportunities within traditional sectors and within new technologies—and who can help shape the business you want. Upstream or downstream, from exploration to marketing, and from generation to retail, Dentons can give you the innovative advice and insight you need globally. Abu Dhabi National Oil Company: Advising on one of the world’s largest petrochemicals projects: the multibillion-dollar expansion of the Borouge plant at Ruwais in Abu Dhabi. We drew on the combined skills of our energy and technology teams, one of the largest and longest established practices in the Emirate and the Middle East region. Borouge is a joint venture of the Abu Dhabi National Oil Company and Austrian petrochemicals giant Borealis. Babcock Dounreay Partnership: Advising a joint venture of Babcock International, URS and CH2M HILL in its bid for the Nuclear Decommissioning Authority’s (NDA) Tier 1 management and operation contract, to operate and decommission the Dounreay nuclear site. Our unrivalled experience in this highly specialized market was employed to cement our client's winning position. This is the third NDA Tier 1 contract to be awarded in the UK’s program of privatizing nuclear decommissioning. Our nuclear team has advised all previous successful bidders in this program, including for the £17 billion Sellafield contract. Our legal support was decisive in establishing a contractual model for completing the decommissioning of the Dounreay facility by 2021, several years earlier than previous forecasts and using innovation in areas such as waste packaging to reduce costs. This experience demonstrates how we can help meet the challenges that will face the nuclear industry as the first generation of reactors are retired. BRE Bank (Commerzbank Group), PKO BP, BZ WBK (Santander Group), BOŚ, BGK, Investkredit, Raiffeisen: Advising a syndicate of seven banks in the financing of the largest wind-farm project in Central and Eastern Europe (CEE), with planned final installed capacity of 250 MW and an aggregate first and second phase value of over PLN 1 billion (approximately €250 million). The deal was very complex because it involved a portfolio of seven different borrowers, which were both power producers and operators of the common power distribution grid. The obligations of all borrowers were cross-defaulted and cross-collaterized within each phase. Capital Power: Advising on the completed sale of 9.2 million common shares of Capital Power to EPCOR at an offering price of C$24.40 per common share for aggregate gross proceeds to EPCOR of C$224,480,000. The aggregate offering was comprised of an offering of 8.2 million common shares at C$24.40 per share together with the underwriters’ exercise of an over-allotment option for the sale of an additional one million common shares at C$24.40 per share. The underwriting syndicate for the offering was co-led by CIBC World Markets Inc. and RBC Capital Markets. EPCOR’s wholly owned subsidiaries build, own and operate electrical transmission and distribution networks, water and wastewater treatment facilities, and infrastructure in Canada and the US. EPCOR is headquartered in Edmonton, AB. Capital Power is a growth-oriented North American power producer, also headquartered in Edmonton, AB. The company develops, acquires, operates and optimizes power generation from a variety of energy sources. Capital Power owns more than 3,300 megawatts of power generation capacity at 16 facilities across North America. An additional 487 megawatts of owned wind generation capacity is under construction or in advanced development in British Columbia, Alberta and Ontario. Council of the City of New Orleans, LA: Serving as lead regulatory counsel for nearly 30 years, we have defeated significant class action litigation against the city of New Orleans, and as part of an interdisciplinary regulatory advisor team have achieved an unprecedented fourth consecutive rate reduction for the city’s ratepayers, and assisted in the massive effort to rebuild the city’s entire electric and natural gas system following the Hurricane Katrina disaster. Our team is currently handling more than 50 matters at the Federal Energy Regulatory Commission, Courts of Appeals and at the retail regulatory level, including the divesture of Entergy Corporation’s entire transmission system and the company’s decision to join the Midwest Independent Transmission System Operator, Inc.
EDF EN Canada Inc.: Advising on the sale to Enbridge Inc. of a 50 percent undivided interest in the 300 MW Lac Alfred wind project. The project, which will entail investments of approximately CA$700 million by both co-owners, is located 400 kilometers north east of Québec City in Québec’s Bas-Saint-Laurent region and will consist of 150 wind turbines supplied by REpower Systems SE. EDF EN Canada Development Inc. will lead and manage the construction phase under a fixed price, turnkey engineering, procurement and construction (EPC) agreement. EDF EN Canada Inc.’s operation and maintenance affiliate, enXco Service Canada Inc., will provide long-term operations and maintenance (O&M) services to the project. Hydro-Québec will buy the power under a 20-year power purchase agreement (PPA) and construct the 30 km transmission line to connect the project to the grid under an interconnection agreement. Enbridge Inc.: Advising on its agreement to transfer its Canadian liquids pipelines business, held by Enbridge Pipelines Inc. and Enbridge Pipelines Athabasca Inc., and certain Canadian renewable energy assets to a subsidiary of Enbridge Income Fund for consideration, including assumption of debt, valued at CA$30.4 billion. Multinational natural resources company: Advising on a loan financing facility from Sberbank of Russia, including the review of the facility agreement and a number of issues connected with the guarantees to be provided by two Kazakh entities in support of the loan. The issue of corporate guarantees was complicated by the fact that the two proposed guarantors were recorded as “natural monopolists” in Kazakhstan (though, not in their primary field of activities, but something unrelated) and the legislation imposes burdensome procedures for a large variety of actions of natural monopolists, including, arguably, the issue of guarantees above certain thresholds. 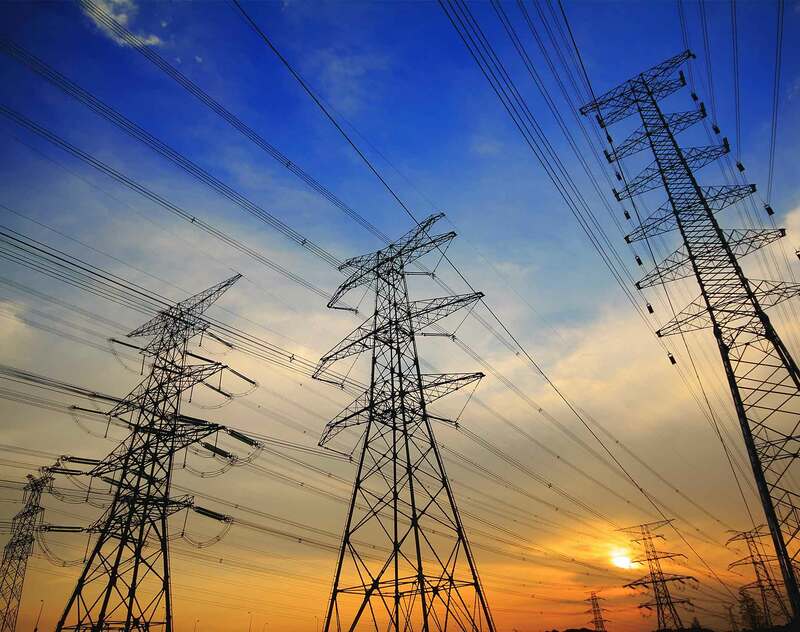 PSE Operator: Advising on the €120 million acquisition of a power interconnection between Poland and Sweden (SwePol Link) by PSE Operator (50 percent) and Svenska Krafnat (50 percent). The facilities consist of converter stations in Sternö (Karlshamn, Sweden) and Slupsk (Poland), as well as a submarine pole cable and return cables. The capacity of the link is 600 megawatts. The interconnection was initially operated by special purpose companies and following acquisition by PSE Operator and Svenska Krafnat became an inter-TSO project improving power grid stability in Poland and Scandinavia. Solarwatt AG: Advising one of the leading German manufacturers of high-quality crystalline solar modules as well as a provider of innovative complete photovoltaic packages and energy management systems, on a petition for a protective shield proceeding as a debtor-in-possession, pursuant to section 270b of the German Insolvency Directive. Total, SA: Advising on the acquisition of ExxonMobil's downstream assets in 14 African countries (Chad, Djibouti, Eritrea, Ethiopia, Ghana, Guinea (Conakry), Liberia, Malawi, Mauritius, Mozambique, Sierra Leone, Togo, Zambia and Zimbabwe). Turkey's first liquefied petroleum-gas distributor: Advising on the negotiation and signing of the Asset Purchase Agreement related to Ipragaz's acquisition of the cylinder and bulk LPG businesses of Shell Gas in Turkey. With this acquisition,the client becomes the second biggest company in LPG sales in Turkey, following Aygaz. UK Government, Department of Energy and Climate Change: Advising on the Government's program to commercialize carbon capture and storage (CCS) technology. This is a substantial project of international significance, at the leading edge of the development of this new global industry. The Government seeks to establish a cost-competitive CCS industry in the 2020s through up to £1 billion of capital funding and additional operational support. Our team is working with in-house colleagues on the competitive procurement of projects to develop the capture of CO2 from power generation, its transport offshore and permanent subsea storage. The project includes working with an entirely new regulatory framework. This comprises new legislation, the design and market testing of novel contracts for capital support, working with new contracts for difference under the Government’s wider Energy Market Reform program and the implementation of the European Union CCS Directive. Dentons is proud to congratulate an impressive 26 lawyers, who are listed as “Canada’s Leading Energy Lawyers” by Lexpert, in its recent special edition on Energy. This recognition comes just after the Firm achieved recognition in the area of energy law from the 2019 edition of The Best Lawyers in Canada. The Supreme Court last week handed down its long-awaited judgment in Vedanta Resources PLC and another v. Lungowe and others  UKSC 20. Uzbekistan continues to undertake measures to enhance the legal and institutional framework of the country’s energy sector. Download Dentons' Global Energy Game Changers brochure to learn more about these integrated practices. A blog on the latest developments in global energy law and policy.